Developed by those clever palaeontologists at the Natural History Museum in London, a scale model of a Stegosaurus dinosaur. A super replica of a Stegosaurus, great for imaginative play. This Stegosaurus dinosaur model is supplied with a Stegosaurus fact sheet written by the experts at Everything Dinosaur. 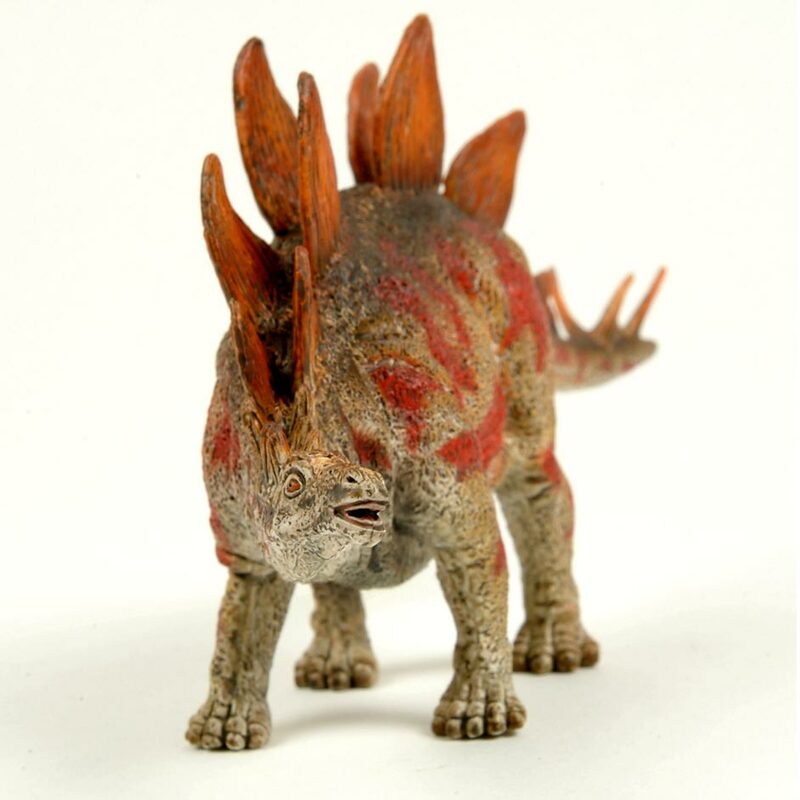 Developed under the guidance of the London Natural History Museum’s Dinosaur researcher Dr Paul Barrett, a finely detailed model of a Stegosaurus dinosaur. This Stegosaurus replica reflects the very latest scientific interpretations. Packaging folds down to make a handy dinosaur model data card. A Stegosaurus dinosaur model great for creative play.